All members of the Association of the Association are entitled to nominate a deserving individual/s for a SADA Award. Please complete all questions in this online application form to ensure that the application is not delayed. It is important that submissions be complete and detail supplied as requested. Please bear in mind that there is a strong likelihood that members of the SADA Operations Committee may not know anything about the nominee. Recommendations and decisions are based on information supplied, therefore it should be as detailed as possible. The Rules of the Awards Programme are available from the menu item on the left. Additional questions in respect of the nomination process should be directed to the SADA Head Office for the attention of Dr Nosipho Mzobe either via email at nmzobe@sada.co.za or telephonically on 011 484 5288. 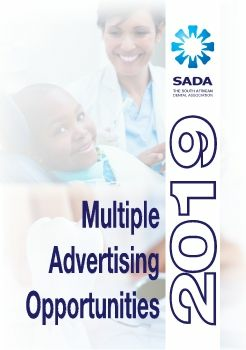 Nominations may be submitted through the year between SADA Annual Congresses, however all nominations should be received by Dr Mzobe no less than two months prior to the upcoming Congress to ensure processing of applications are feasible for presentation at the Gala Awards Dinner.